Wear OS is a toned down version of the Android operating system. It powers 1+ million smartwatches. Although Wear OS belongs to the family of Android OS and supports APK format files, you should install the apps designed for it. If you don’t do so, the OS or the application might crash. Once you buy a smartwatch, the first thing you should do is install apps that will keep you connected with the online world and improve your productivity. CityMapper is an award-winning application that allows users to find restaurants, bus, metro and railway stations near them. The app gives users access to a detailed map of over 100 cities. Like other top navigation apps, CityMapper can display the shortest route between two places. Hence, if you don’t want to travel in a vehicle or transport facility, you can follow the route suggested by the CM application. 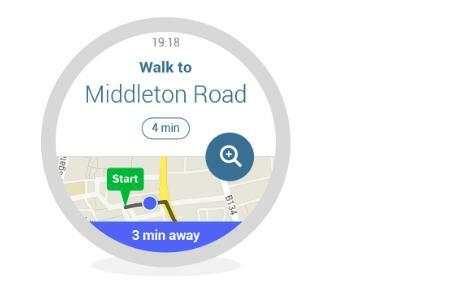 The app can save the map to the storage memory of the smartwatch. Apart from maps, CM displays the arrival and departure time of local transit facilities. CityMapper is fast and lightweight. Facer is a tiny app that gives you access to 10000+ watch faces. It enables you to download watch faces and customize its colors, fonts, etc. It lets users change the layout of date, time, etc. The app displays eye soothing animations when you install and apply one of its themes. 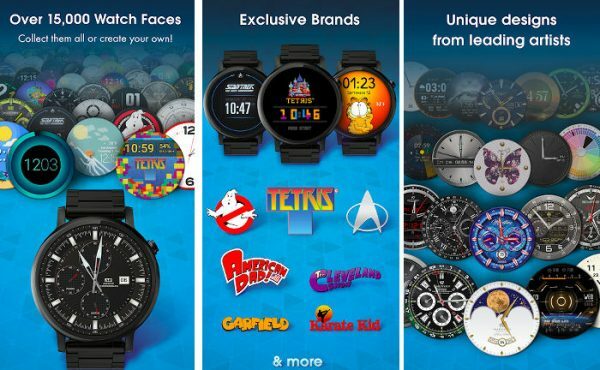 The app provides a DIY tool with which you can design your own watch faces. Once you create a WF, you can share it with other users of this application. 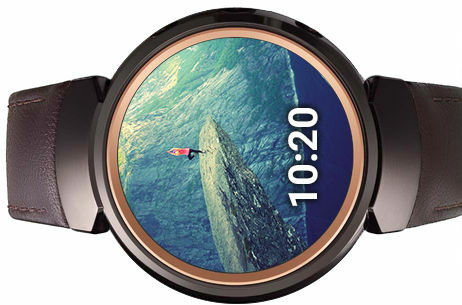 Facer supports smartwatches that have a round, rectangular or square display. The Wear OS can display the Android or IOS notifications on the smartwatch. If the notification is a message, you must either use your phone to reply or use Drextee. The app lets users reply to messages received on popular messaging apps with its intuitive keyboard interface. It supports voice commands and emojis. Drextee lets you find contacts and messages. It can correct typos and suggest words when you’re a typing a message. It ships with 5 different color themes. 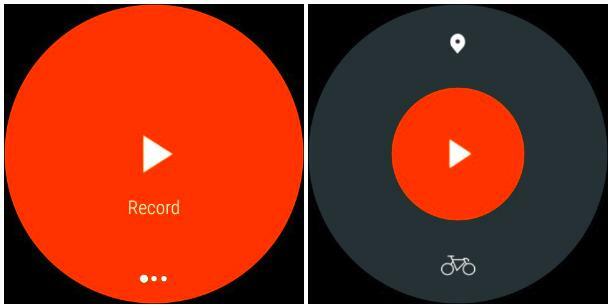 Strava is a fitness tracker application with many features. It tracks your steps, speed, etc. It also monitors your heartbeat and marks the route you take on a map. Strava runs in the background and monitors your activities in real-time. The application has “Training Challenges” feature that allows users to test their limits. It syncs the user’s fitness data to the Strava servers. To see your health report, you can either log in to the Strava website or Android/IOS app. 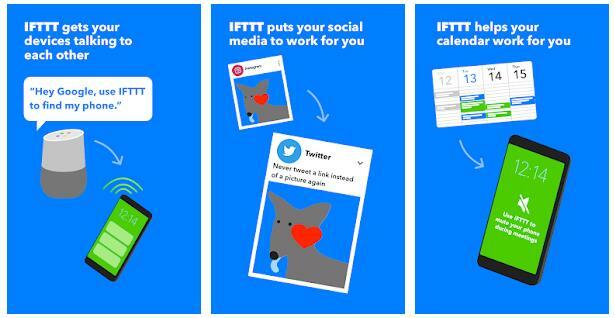 IFTT is one of the most powerful Android tools right now. It is a small utility that allows you to automate things with “Applets”. The app supports 500+ service and popular smart devices such as Amazon Alexa, Google Home, etc. You can configure IFTT to display weather, missed call, SMS, email notifications on the Wear OS powered device. IFTT enables users to explore the Applets built by other users. Hence, if you are unable to create an Applet, you can refer to the Applets created by other users of IFTT to get inspiration or learn IFTT. PW is an app with which you can set your favorite gallery or Instagram photos as the background image of your wearable device’s display. PW lets you crop pictures. It also allows you to apply filters to the images. It changes the photos at random intervals. The free version of PW supports 9 images. It doesn’t sync pictures from Instagram automatically. Uber is the most popular taxi booking app. It allows you to book taxis with your smartwatch even if you’re not carrying the phone. The application uses the GPS service of the wearable device to locate the, calculate fares, etc. Although the display of wearable devices is tiny, Uber’s smart interface makes it easy to specify the destination/place where you want to travel. The app allows you to see the details of the driver. It displays the driver’s ETA and your current location when you’re in the taxi. Want to save time on offline shopping? Use the Google Pay application. GP remembers your credit and debit cards so that you check out quickly in your favorite store. Google Play supports NFC technology. It doesn’t WiFi or Bluetooth technology on a smartwatch. Google Keep is a free app through which users can create notes and to-do lists. It is easy to use, lightweight and powerful. Users can tag notes and set reminders in GK. They can insert audio recordings, images in the notes. Google Keep can extract text from images. It enables you to share the note/list with other users. Once the task is over, you can archive the to-do list or note with Google Keep. Users can pin notes. They can also search notes by name in GK. You can use this Google application to remind you to take pills, go out for a walk, bring kids from the school, wake you up in the morning, etc. GPM is one of the top music streaming services in the world. 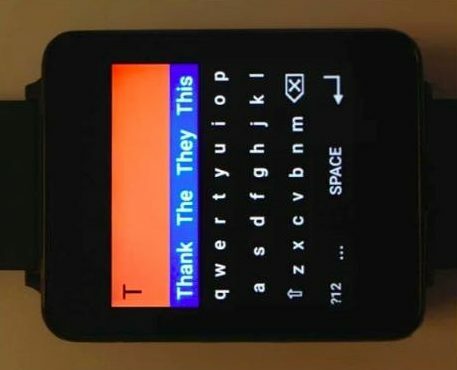 It allows you to control music played on the phone with the smartwatch. The app enables users to select library or radio stations. It displays the track name on the display of the wearable device. It makes users aware of the next track in the queue. Users of the Play Music application can save the currently played track to their Android device. Hence, they can listen to their favorite songs offline. GPM provides an option to shuffle songs in the playlist. Conclusion: Uber, Google Keep, Play Music, Pay, Facer, Strava, Photo Wear, IFTT, and Drextee are the 10 best Wear OS apps.